Tonight is the WORLD PREMIERE of Once Bitten and we wouldn’t have been able to bring our film to the world without the our awesome supporters and sponsors. 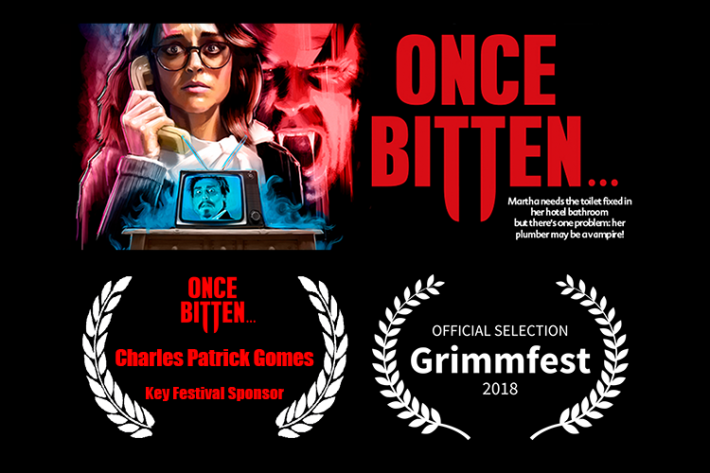 A special thank you to the Key Festival Sponsor for our Grimmfest screening – Charles Patrick Gomes! Sin City Horror Fest – Official Selection Number 5!